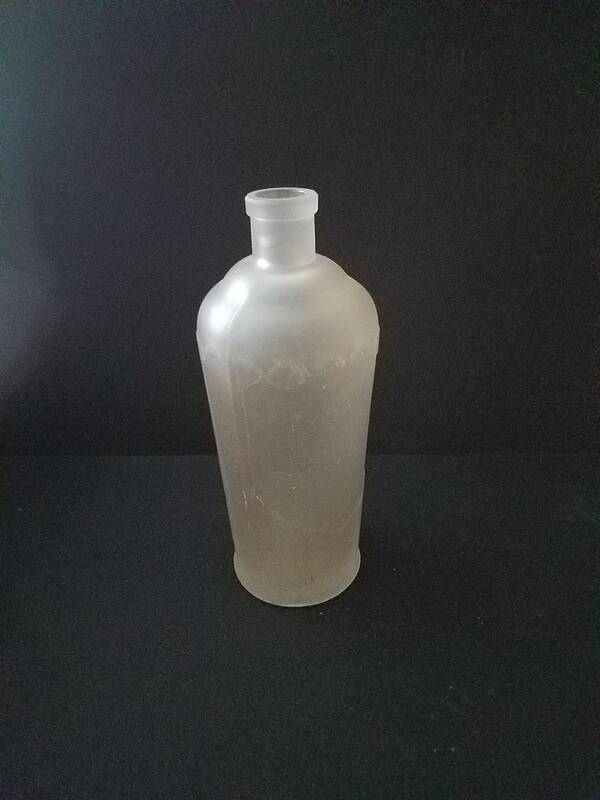 This is a very unusual barber bottle. 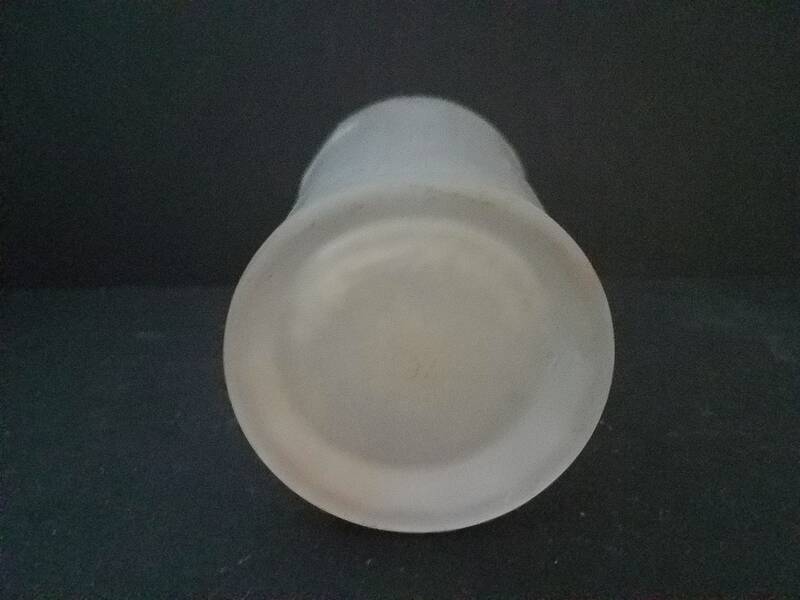 It is alabaster or a type of frosted glass. Has a few lovely bubbles in the glass. 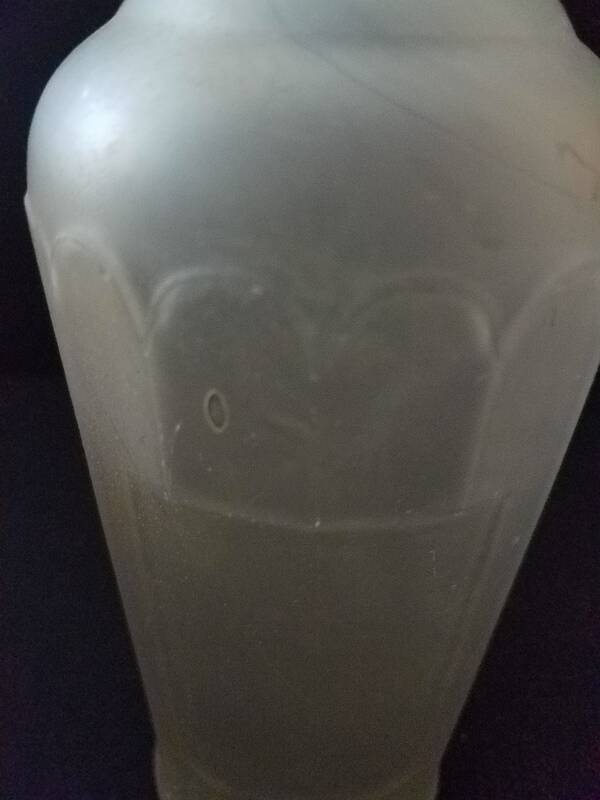 It has a scalloped design on it with a rectangle in the center to put a label on. 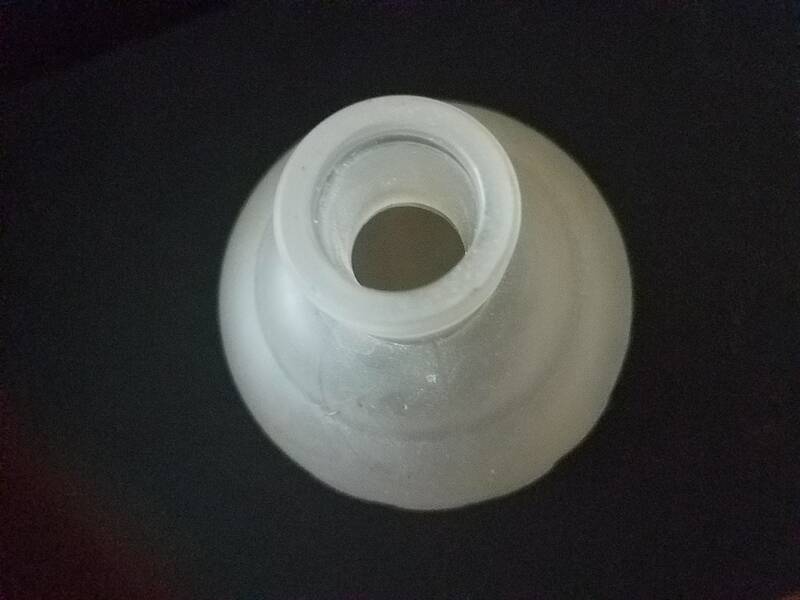 It is *" tall and the bottom is 2 5/8" in diameter. 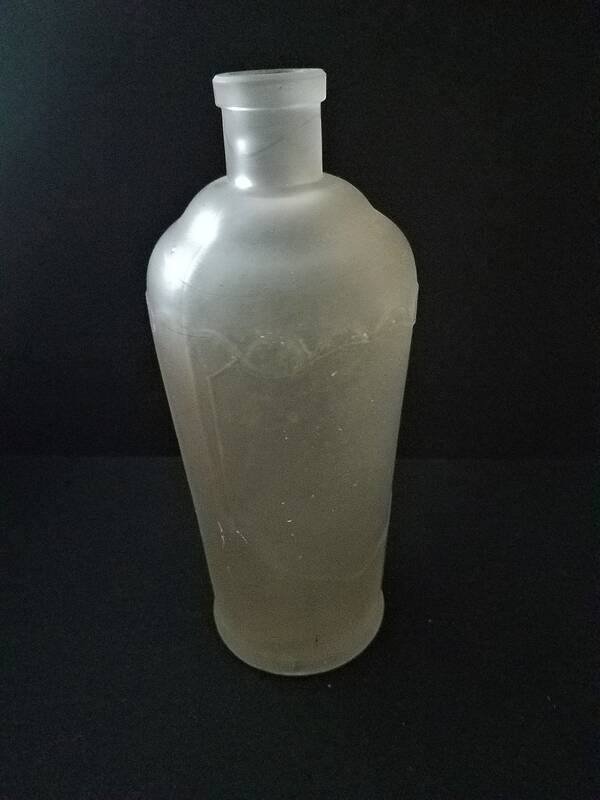 It has the initials DKN on the bottom which I have researched and have yet to find any information about. 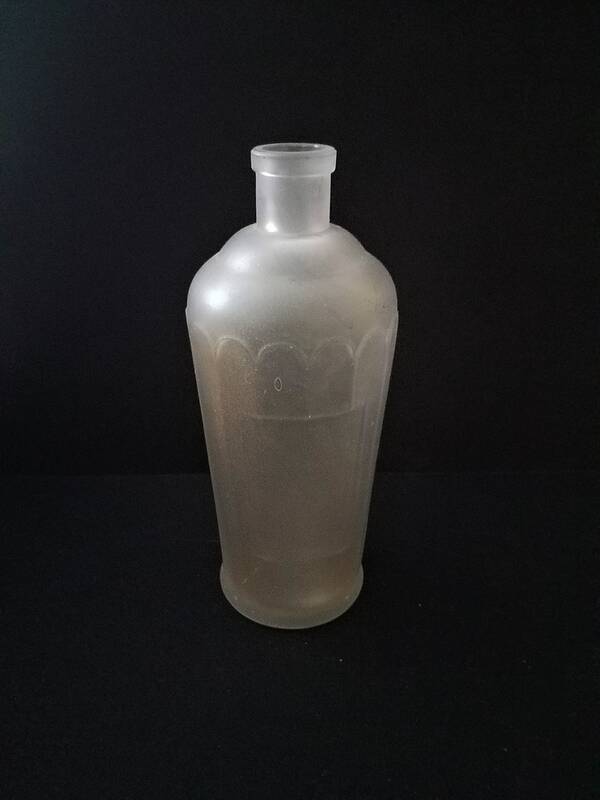 I do believe this bottle is from the late teens to late 1920s due to it's art deco style.